There’s no way you can understand how strongly we feel about ramen. 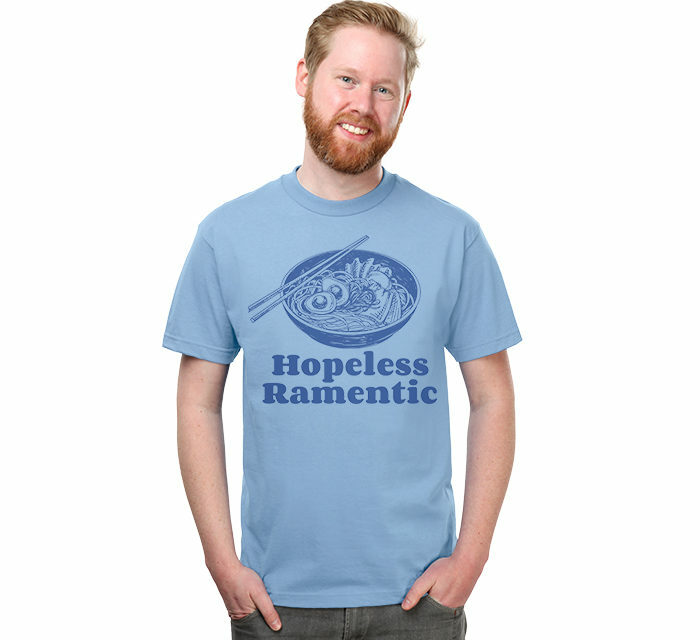 So, since this t-shirt is about expressing a love so pure it transcends everything, we’ve graduated from sonnets and haikus into something even more romantic… a dramatic monologue. Let’s set the stage. A ThinkGeek copy monkey stands atop a beautiful balcony with a lightsaber in hand (don’t question it – it’s important to the plot). A steaming bowl of ramen sits obscured upstage. And now the monologue begins.